On this week's 83 Weeks with Eric Bischoff & Conrad Thompson, the topic is WCW Spring Stampede '97! The red hot Diamond Dallas Page main evented for the first time, against "Macho Man" Randy Savage! There was a four corners match between Lex Luger, The Giant, and the recent WWE HOF inductees, Harlem Heat! Hear Eric's thoughts on Booker T's infamous botchtastic promo! Plus Nash vs. Rick Steiner, Benoit vs. Malenko, and so much more! &nbsp; Support us on Patreon for even more content from Eric & Conrad for just $9! Patreon.com/83Weeks &nbsp; See Bruce & Eric in a Monday Night War Debate and Eric take on the author of the Death of WCW Book, plus 20 other live events starting at just $4.99 at&nbsp; &nbsp; Buy a shirt and get a call from Eric:&nbsp; &nbsp; Find tons of new merch at BoxOfGimmicks.com&nbsp; &nbsp; Interact with Eric live -&nbsp; &nbsp; Ask a question about next week's show on Twitter: @83weeks &nbsp; Stop throwing your money on rent! Get into a house with NO MONEY DOWN and roughly the same monthly payment at HideFromRent.com &nbsp; Check out WWE Supercard here! 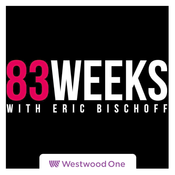 On this week's 83 Weeks with Eric Bischoff and Conrad Thompson, they delve deep into WCW Uncensored '99! Topics include the Barbed Wire Steel Cage main event between Hulk Hogan and Ric Flair, and the double turn between both men, Booker T vs. Scott Steiner, Chris Jericho vs. Perry Saturn in a Dog Collar Match, Benoit/Malenko vs. Hennig/windham in a Lumberjack Match, Hak (Sandman) vs. Raven vs. Bam Bam Bigelow, plus talk about Kevin Nash, Rey Mysterio Jr. and the loss of his mask, Ernest "The Cat Miller and Sonny Onoo, Jerry Flynn, Stevie Ray vs. Vincent (Virgil,) Billy Kidman vs. the debuting Mikey Whipwreck, Mikey's injury status, Ralphus, David Flair, Arn Anderson, Torrie Wilson and so much more! &nbsp; Support us on Patreon for even more content from Eric & Conrad for just $9! Patreon.com/83Weeks &nbsp; See Bruce & Eric in a Monday Night War Debate and Eric take on the author of the Death of WCW Book, plus 20 other live events starting at just $4.99 at&nbsp; &nbsp; Buy a shirt and get a call from Eric:&nbsp; &nbsp; Find tons of new merch at BoxOfGimmicks.com&nbsp; &nbsp; Interact with Eric live -&nbsp; &nbsp; Ask a question about next week's show on Twitter: @83weeks &nbsp; Stop throwing your money on rent! Get into a house with NO MONEY DOWN and roughly the same monthly payment at HideFromRent.com &nbsp; Check out WWE Supercard here! Support us on Patreon for even more content from Eric & Conrad for just $9! Patreon.com/83Weeks &nbsp; See Eric, Conrad, and Tony Schiavone at "What Happened In 83 Weeks" live in Chicago on March 22nd! Check out showclix.com/event/whw83 for tickets and more information! &nbsp; See Bruce & Eric in a Monday Night War Debate and Eric take on the author of the Death of WCW Book, plus 20 other live events starting at just $4.99 at&nbsp; &nbsp; Buy a shirt and get a call from Eric:&nbsp; &nbsp; Find tons of new merch at BoxOfGimmicks.com&nbsp; &nbsp; Interact with Eric live -&nbsp; &nbsp; Ask a question about next week's show on Twitter: @83weeks &nbsp; Stop throwing your money on rent! Get into a house with NO MONEY DOWN and roughly the same monthly payment at HideFromRent.com &nbsp; Check out WWE Supercard here!